Over the past decade, what we know about bullying has increased dramatically. Through research and best practices, we now have the knowledge, tools, and strategies to ensure that students are safe to learn in bullying-free environments.Safe Schools/Healthy Students sites serve as models of effective bullying prevention efforts and help to advance the national agenda on bullying prevention. 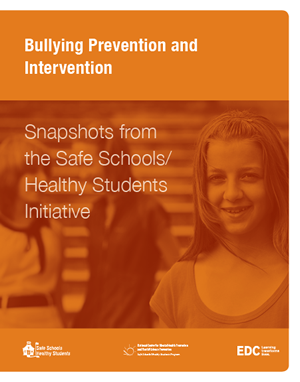 This Snapshot captures successful, innovative strategies to keep our eyes on bullying and promote the health and well-being of the nation’s youth. Find out more about communities that have prevented bullying using out-of-the-box solutions.